The staff of the DAR Library are pleased to be able to promote education in librarianship and the preservation of historical records by offering internships each year to college students who are interested in pursuing a career in Library Science or Archival Studies. These interns assist us with various special projects including processing and digitization of manuscript or textual files, creating finding aids, updating catalog records, and completing basic preservation tasks for some of our more fragile books and materials. One of our summer interns prepared this blog post to describe the project that she’s working on. Susan Ernst is a student at Hollins University in Roanoke, VA, and is interested in a pursuing a career as a Librarian. For more information about future DAR Library internships, please visit www.dar.org/internships. The DAR Library has numerous volumes that are kept in a separate storage area due to their fragile condition or to their value. 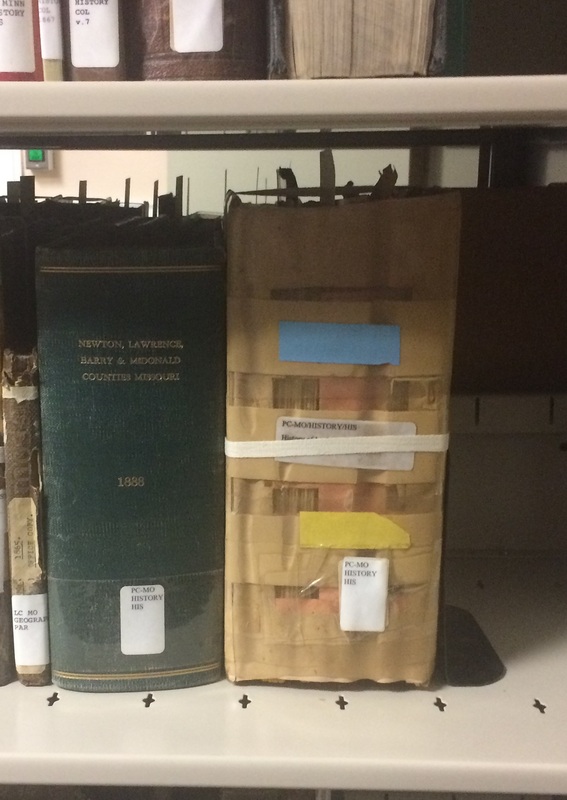 These items are designated in the Library catalog as being in the Poor Condition or Locked Case Collections. 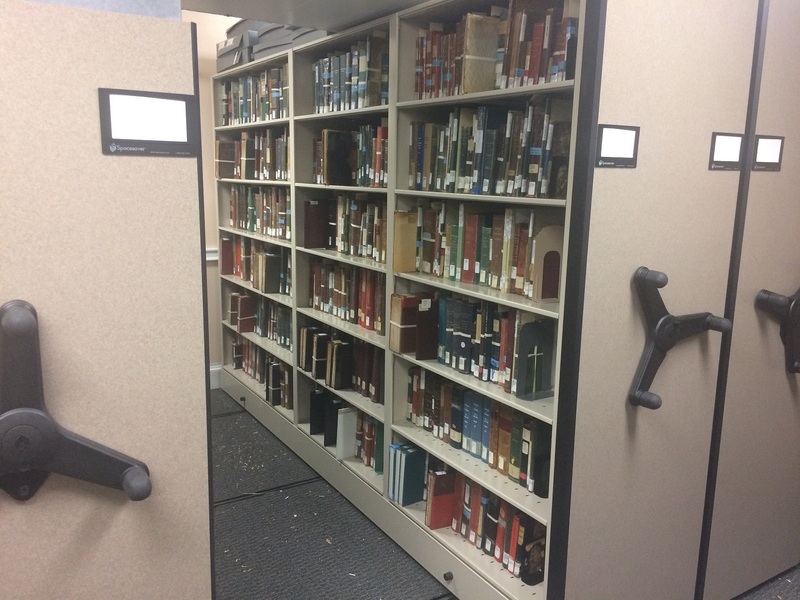 This summer, the DAR Library began the project of re-housing the Poor Condition and Locked Case collections. They were moved from other locations in the library to the Love Center, which is a room on the lower level of the Administration building that provides a more stable atmosphere for these books including better temperature and humidity control for these aging materials. Since these collections are both out of shelf order, they must be reorganized as they are combined into one collection. As the books are being put in order, they are checked against the catalog record to ensure the information listed is correct. Several of these books are so damaged they are falling apart. An important part of this project is to identify issues with physical condition, and then use a simple conservation method to protect them: tying. 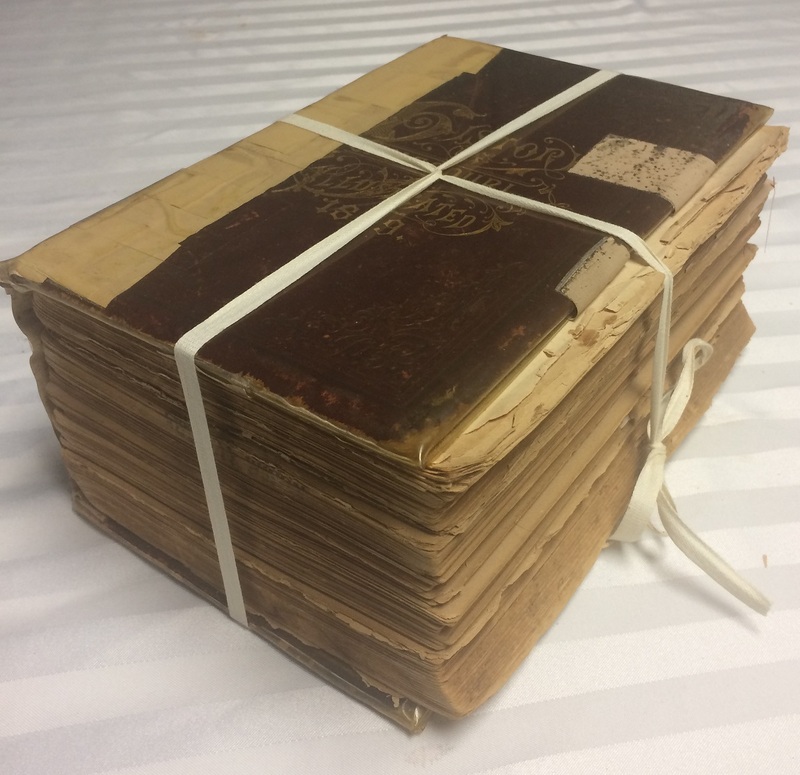 Once tied, the books are supported and closed, protecting them from further damage. However, the information in the books still needs to be accessed. To provide greater access to the information, digitized forms are being found for each book in these collections whenever possible. This part of this project involves searching for freely available digitized versions of the books and entering links to them into the library catalog. Once entered, anyone searching for such a record will see the digital link. Instead of needing to open the book and potentially damage it further, the digitized version can be accessed instead. When the project is complete, the information stored in these books will be accessible through the DAR Library Catalog from any computer with an internet connection. Not only will it protect the books, but with that information online, patrons and researchers can access a wide range of materials from right at home, and more easily do what they do best: research family history.